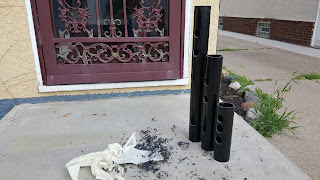 Three pipes were cut to different lengths at the hack space. The shortest length had been cut a long time ago but it may make a suitable pistol-style tagger. The middle length was cut to the prescribed lenth of the previously assembled tagger. The longest length was simply a matter of leaving one pipe extra long because cutting away the top would have created a wasteful piece. Masking tape was applied to each side and the center lines were drawn. All the holes were marked at the same time and pilot holes were drilled at the same time. 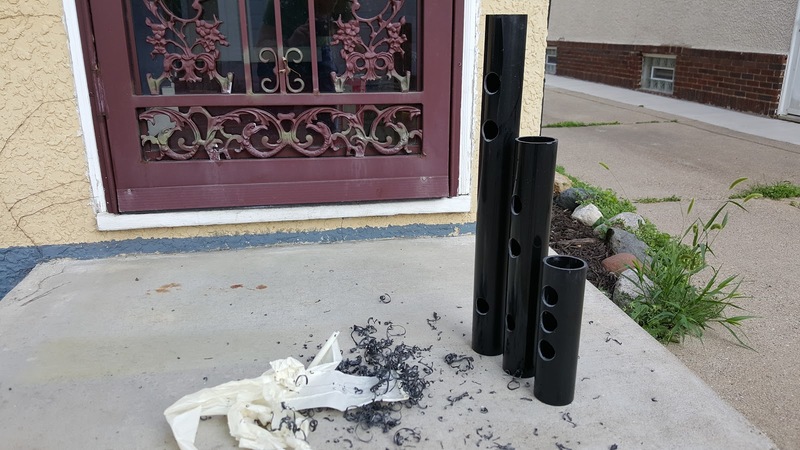 The large holes were drilled with a step drill bit. Marking and drilling multiple taggers only took a few additional minutes compared to the setup, execution and clean-up of a single tagger. 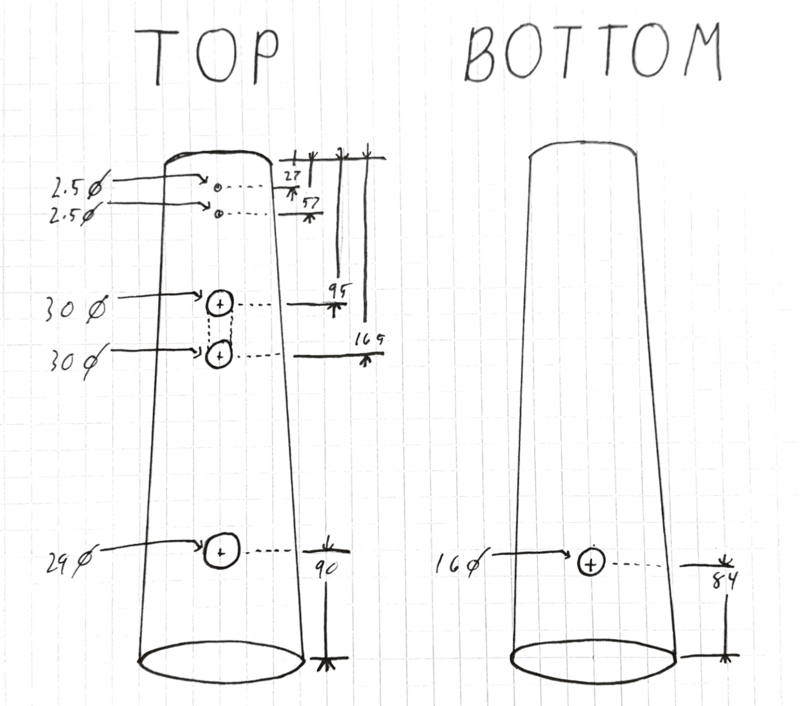 Some of the holes were misplaced on the previous diagram. 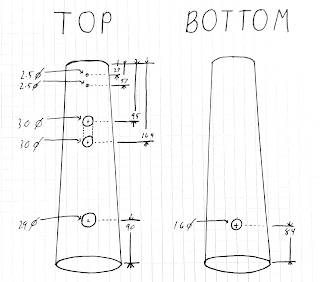 A new diagram was sketched and appears below. The old diagram put the PCB holder too close to the accessory rail riser. It should also be noted that drilling through masing tape can leave residue on the drill bit but the tape should be left on the bottom of the tagger so the handle and foregrip can be aligned properly. I failed to keep the tape on and it will make attaching these parts more difficult later.